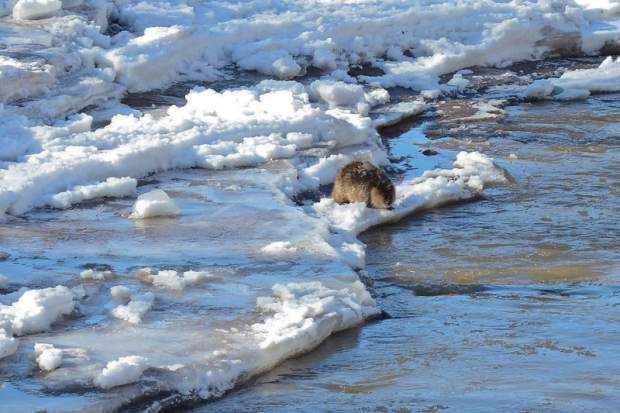 A beaver got caught when an ice dam broke on the Roaring Fork River on Jan. 17, 2013.. The beaver was able to jump off moving ice downvalley from the 7-Eleven bridge in Basalt and recover on shelf ice on the bank. People in the midvalley were treated to a rare doubleheader ice floe Friday afternoon when rising temperatures unleashed a torrent of ice, water, logs and debris down the Roaring Fork River. About two hours after the Roaring Fork Conservancy issued a warning about the possibility of an ice floe, the water came barreling through. The first blast rolled past the 7-Eleven Bridge in Basalt at 2:01 p.m., according to time-stamped video by an observer. A second wave rolled by at 3:55 p.m.
Basalt Police Chief Gregg Knott said officers patrolled the length of the river in Basalt from upper Two Rivers Road to Hooks Lane to warn any anglers or other people about the danger. No one was spotted in the river and no problems were reported from flooding or debris, he said. Video of both incidents show increased water flow, ice chunks of various size and numerous tree trunks getting swept downstream. The water level wasn’t high enough to flood outside the banks. Roaring Fork Conservancy officials said Friday’s ice floes were of similar size to those in years past, but what made it unusual was having two in one day. Pitkin and Eagle counties issued alerts about 20 minutes after the second flow passed through Basalt. 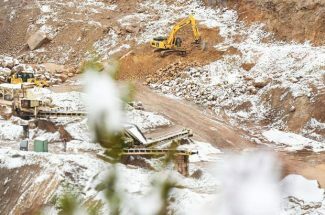 The conservancy had accurately forewarned at 11:55 a.m. that ice floes were possible downstream from Snowmass Canyon on the Roaring Fork River and on the lower Fryingpan River. 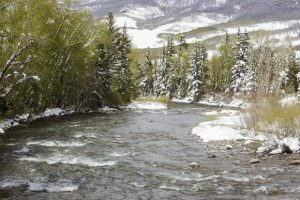 The breaking of an ice dam on the Roaring Fork River in a mid-January thaw in 2013 killed numerous fish, swept an angler off his feet and took a beaver on a wild ride. During that event, an ice dam broke up near Lazy Glen subdivision, 2 miles east of Basalt. Ice broke up on the river and piled up in a dam. Additional ice and water created so much pressure that the dam broke. The angler was caught below the confluence of the Roaring Fork and Fryingpan in 2013. 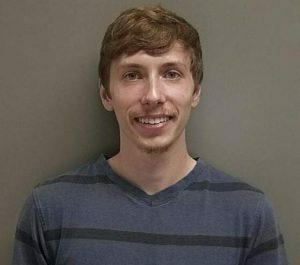 He told an officer he was 10 feet off the bank and couldn’t make it to shore before the water and ice surged knocked him off his feet. 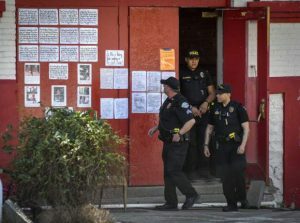 He pulled himself out and suffered only cuts and bruises, authorities said at the time. He credited use of a wader belt for keeping him mobile. A Basalt police officer said during the January 2013 incident that she witnessed ice chunks “the size of Volkswagens” rushing downstream. Photographer Lynn Goldsmith captured a photo of a beaver riding an ice chunk in the January 2013 event. The aftermath of ice floes is always interesting. Because there is a surge of water, ice is deposited on the riverbanks, then left high and dry.